In case you didn't know, early September is the absolute best time to head down to the beach. My best friend just so happened to be visiting and as I'm still in job search mode, I had plenty of time to get out of the city and head down to Long Beach Island. The sand was clean and covered in beautiful shells, the water was the perfect temperature at all times of day and when Matthew came down on Friday the three of us were able to get a whooping score of 235 in beach paddle ball! Obviously, when you're at the beach, you get the opportunity to eat fresh caught fish, crabs, shrimp and scallops. It was actually my first time trying crab and I immediately fell in love. I guess I could say that about anything I get to douse in butter. 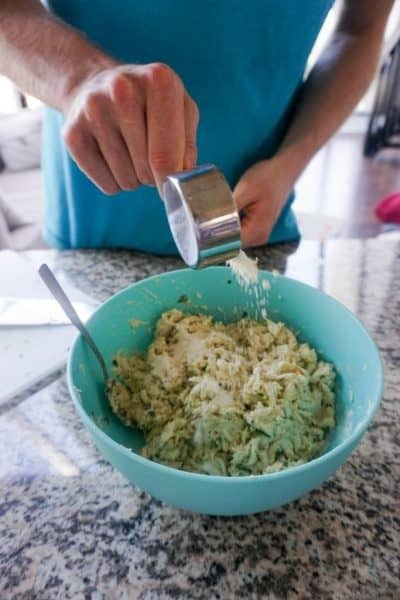 There was a period of time that Matthew and I had the beach house to ourselves, so naturally we jumped on the opportunity to create a new KetoConnect recipe. 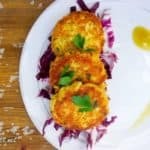 It was actually my best friend that came up with the idea of doing keto crab cakes and they are simple to begin with so what the heck, right? 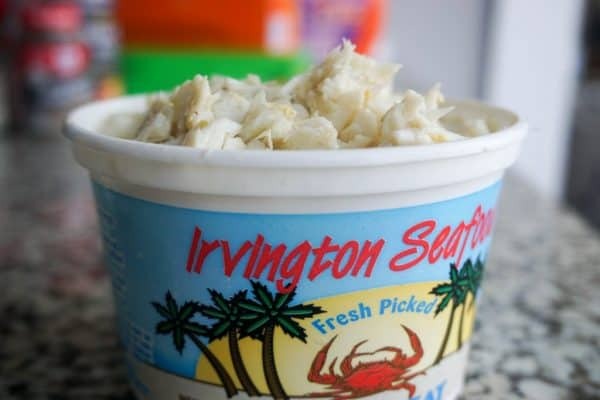 With the food in mind, Matthew and I went shopping and found great fresh lump crab meat and Matthew genious-ly (per usual) blurted out "CRAB CAKES WITH A 'K'!!" 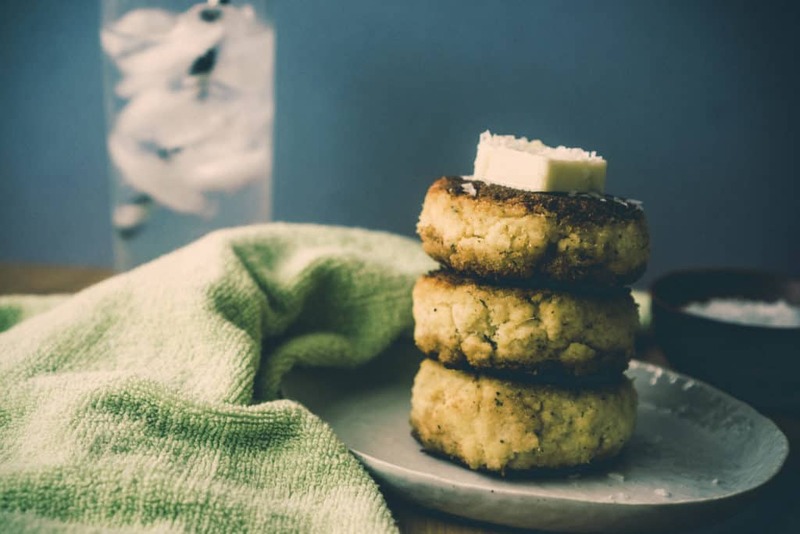 So there you have it - we call these bad boys Keto Krab Kakes. 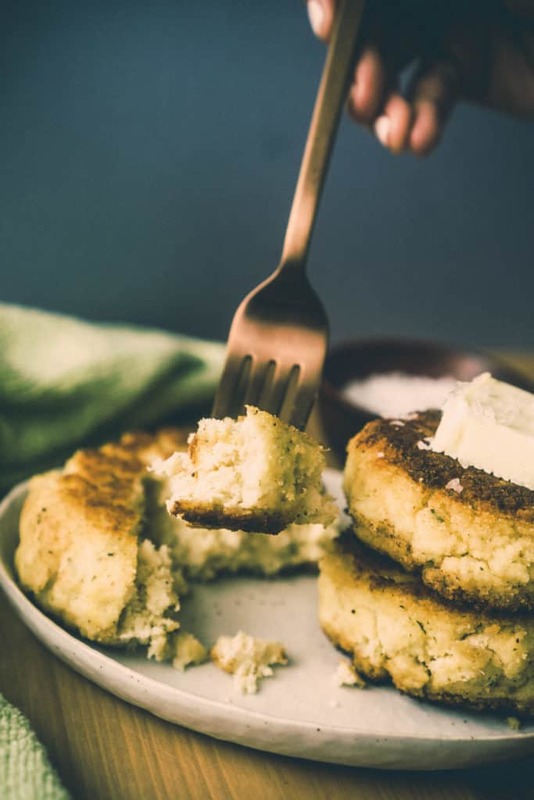 As I already mentioned, crab cakes are simple to make, but our keto crab cakes are even simpler. The beach house we were at was lacking in all spices and had very few condiments. We were almost in an improv cooking class which made the process even more fun. The next time you cook, I suggest you minimize the amount of ingredients available. It's a fun challenge! The only thing we did find that we had to buy (outside of the crab meat) was the Coconut Flour. We needed a keto replacement for the breadcrumbs and it was between coconut flour and almond flour. We know how the two work pretty well by now and what kind of density and flavor they bring to the food. This cooking knowledge along with cost (coconut flour is significantly cheaper) helped us make the decision. Keto Connect Advice: Sometimes money can be a major reason why we choose certain products and that's totally okay! We all work within budgets and when an ingredient can be pricey, feel free to use another cheaper version/brand and definitely reach out with any questions we can help with when it comes to substituting on a budget! When adding the coconut flour, we added it in slowly while gauging the consistency. We had to make sure they wouldn't fall apart when placed in the pan. Matthew has the perfect, big, pillowy hands for making patties so I let him have at it! He formed six perfect patties and we crisped them up in some butter. Did I already mention dousing anything in butter is better?! Personally, and I'm sure I can speak for Matthew when I say the funnest part for us was cooking and photographing in a new kitchen! The beach house had huge floor to ceiling windows that let in mass amounts of light and we even found a cute little starfish to make the pictures a little beachier! Overall, one of our best beach trips because nothing beats a beach getaway and some fresh lump Keto Krab Kakes. Put crab meat in a colander to let out any excess water (we patted ours dry) and set aside. Combine mayo, mustard, Tabasco sauce, egg, salt and pepper. Fold in the crab meat until fully coated. Slowly add in flour while mixing by hand. Once fully incorporated fold in the fresh parsley. Form six uniform patties from the mixture. Flip after about 10-12 minutes (the side facing down should be browned). Repeat until all patties are fully cooked. We topped ours with more Tabasco sauce before enjoying!